To make the syrup place water, lime juice, kaffir lime leaves and ginger in a small saucepan and bring to the boil before turning the heat down and simmering for 3 minutes. Add sugar and simmer for a further 2 minutes. Allow the syrup to cool and then strain. Meanwhile, heat a non-stick grill pan on high and char-grill the pineapple and mango pieces. Set aside to cool. 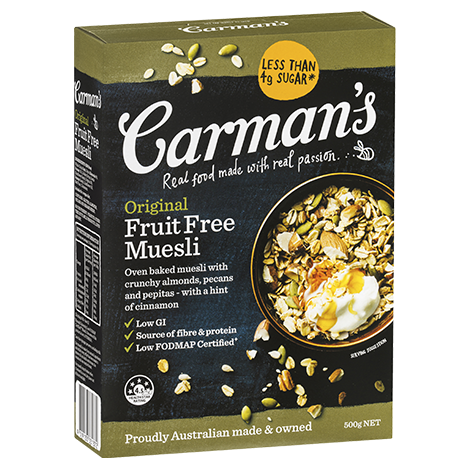 Scoop vanilla ice cream into 4 bowls and sprinkle a handful of Carman’s Original Fruit Free Muesli, plus the pineapple and mango, over the top. 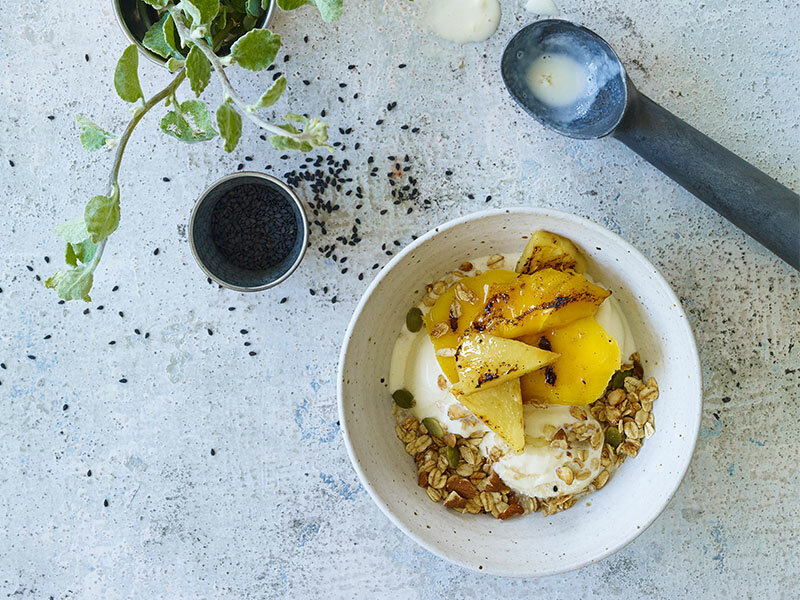 Drizzle the muesli sundae with lime syrup and finish with a sprinkling of black sesame seeds. To prove you’re not a robot, can you tell us what’s 10 + 6 ?